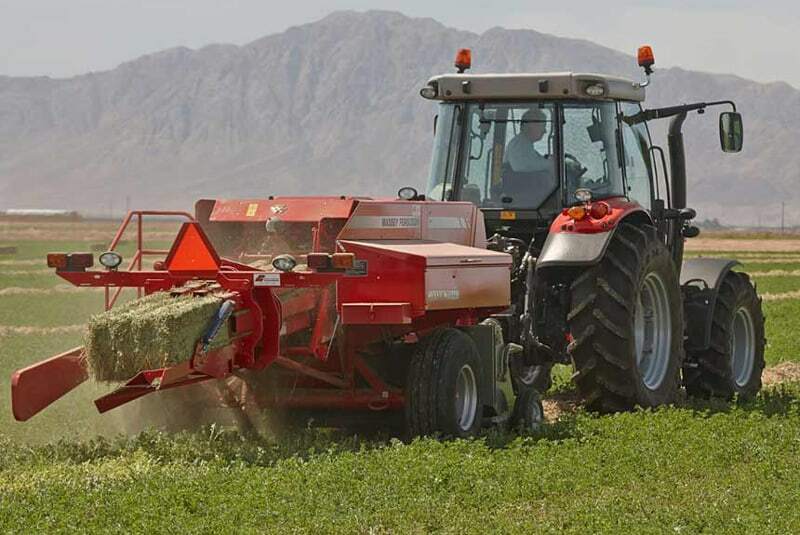 The Hesston 1836 is designed for the hay producer or livestock owner who needs a strong, reliable baler for a minimal number of acres. The 1836 churns out 14 x 18-inch bales with a plunger speed of 92 strokes per minute and a pickup width of 73.5 inches. Yet it’s built tough enough to pull a loaded bale wagon over rolling terrain — an important factor when the bale thrower option is added.